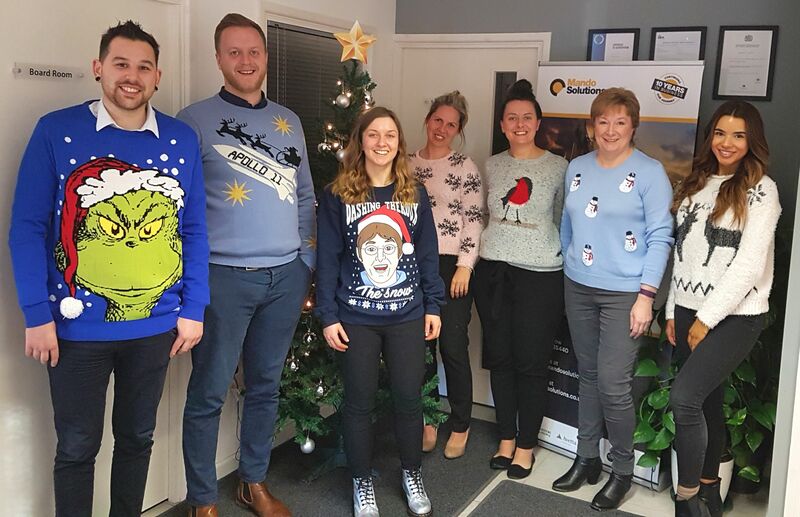 Today in the office we have celebrated Christmas Jumper Day. It was two days late from the official day, we must admit, but we all made a great effort to come in looking as festive as we could. We even managed to convince Ashley (in the Apollo 11 jumper) to wear one and we’re counting that as a Christmas miracle. Is there anything more jolly about Christmas than putting on a (sometimes silly) Christmas jumper and getting cosy? We hope you’re all also starting to feel festive and are going to wear your Christmas jumpers with pride this weekend. Tonight is our office’s Christmas party. We’re all excited and ready to get suited and booted, get our festivities on and create some fun memories together.